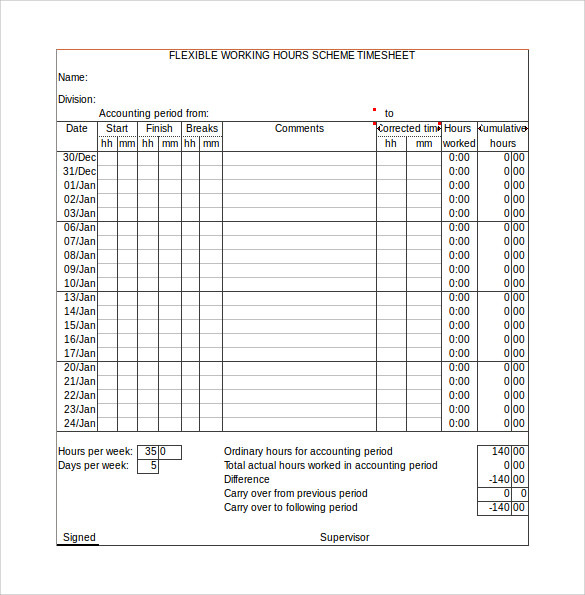 The work Timesheet calculator helps the owner of the business to keep track of the amount of work done by the employee in the total of his working hours.This is a way that can be used to judge the productivity of the work being done by an employee and whether or not it matches to the pay that is being given to him. The sample work Monthly Timesheet Calculator Templates allows the user to know the format to follow to prepare one. Sample work timesheet calculator PDF Template is an excellent timesheet example that is quite useful to gauge the work progress and achievements of the employees and workers. This template which is available in PDF Format helps one record the employee’s start time and end time, through which one can see the employee’s total contribution. Download the template from the link below for free usage. A work timesheet calculator free template is a good example of timesheet that can be used by organisations for calculating the time their workers are contributing to the office. The template is in tabular format with many small tables containing the number of days vertically and regular work, overtime, etc horizontally. 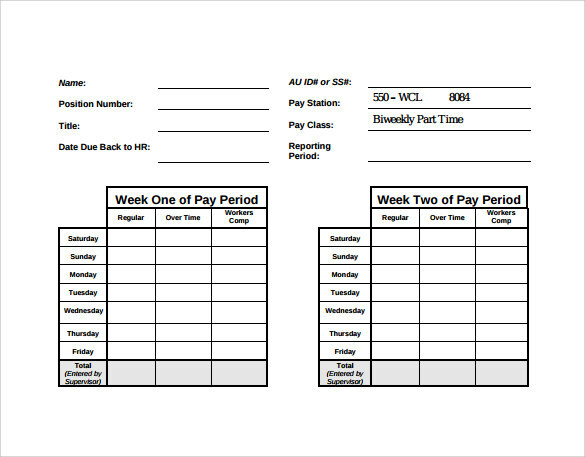 Workers can record their weekly work in this pleasant looking template. Download this template online for free use. 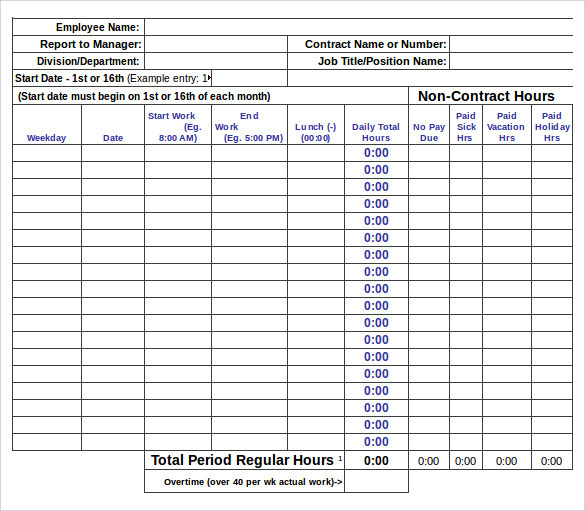 A work timesheet calculator example template is a good example of timesheet but not specifically for the employees. 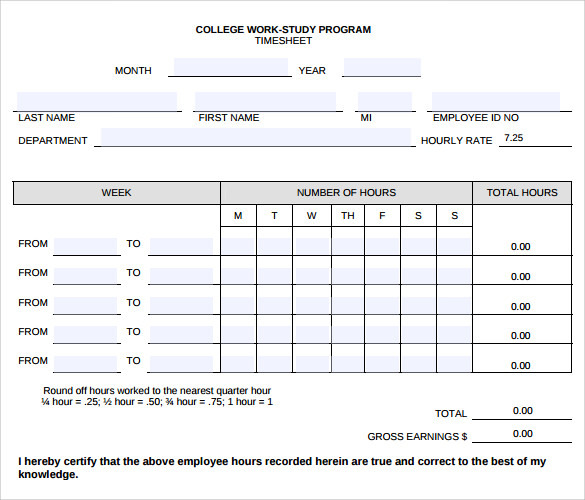 Instead this template is for college going students to help tem record their daily progress and the number of hours they have spent in college studying. Basically it is a timesheet of their study hours. Students can download this free template from the link below for creating order in their schedule by downloading this template which is available in PDF Format. A sample work timesheet calculator template is a great type of worksheet calculator template that can be used by employers, department heads for calculating the work of its employees and/or subordinates. 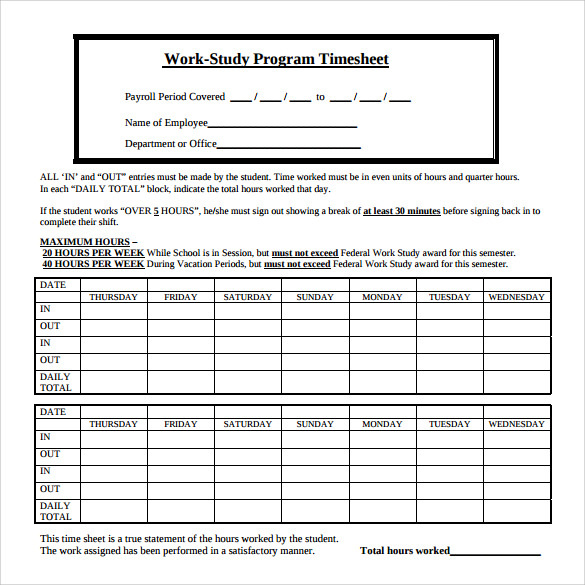 The employees can fill in their start work and end work time on these sheets. The employers can download these templates online and use them as it is to print them and use them. 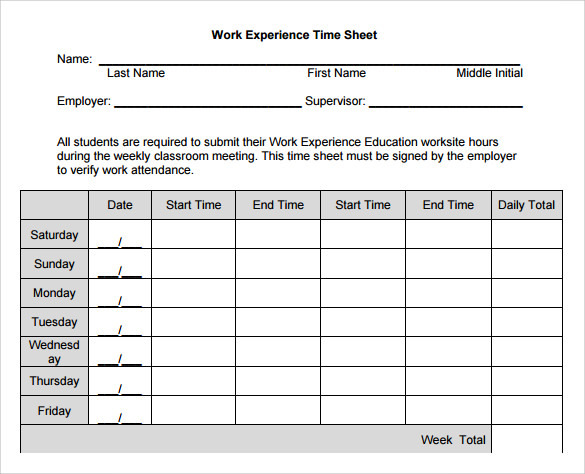 Why do we Need a Sample Work Timesheet Calculator Template? A sample work timesheet calculator, as the name suggests, is a smart way of calculating the number of hours one is spending in their office or workplace. This helps the employers as well as employees in gauging the performance of the employees i.e. the performers. The templates listed here are a great way for understanding and keeping a count on each employee’s work. These templates available in various forms and types can be used by employers for the same purpose in the format that suits them the best. 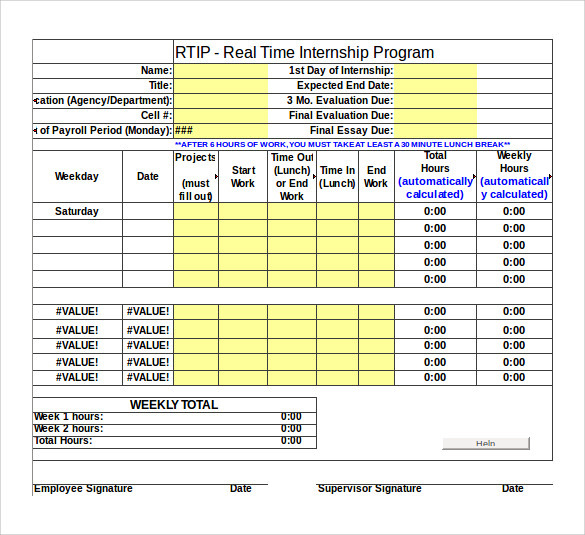 The employers specifically need a sample work timesheet calculator template. You can also see Sample Biweekly Timesheet Calculators. 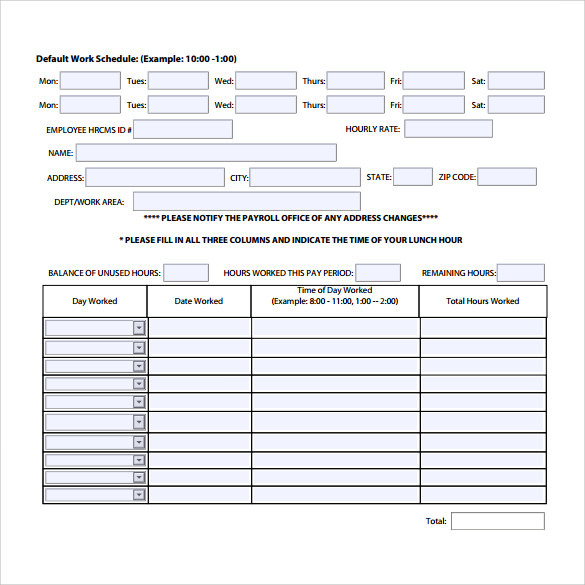 When do we Need a Sample Work Timesheet Calculator Template? 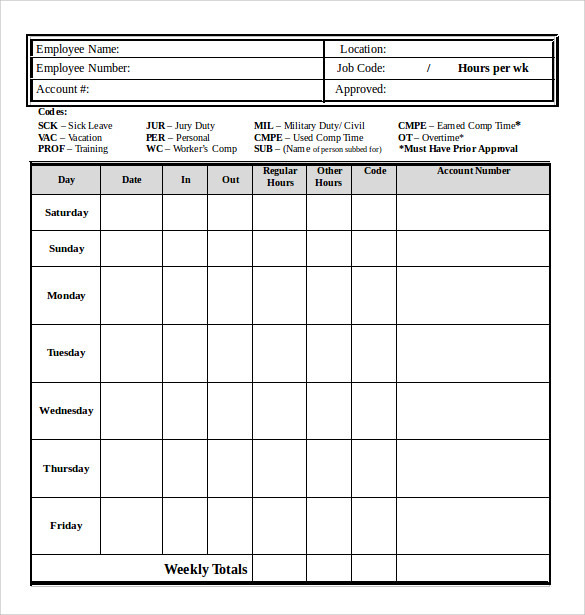 The sample work timesheet calculator templates list a number of templates that contain various types of worksheets that can record the hours spent by the employees in the office. These templates are thus a performance calculator, but the performance is calculated in terms of hours contributed by the employee. Some of the templates are also designed for students wherein they can record the number of hours they spend each day studying in their college. Thus these templates are quite useful for calculating the hours spent doing certain work or task. What are Benefits of Sample Work Timesheet Calculator Template? Sample work timesheet calculator templates are an excellent mode of keeping a track on the energy spent in doing a particular work which can be both office work as well as study work. 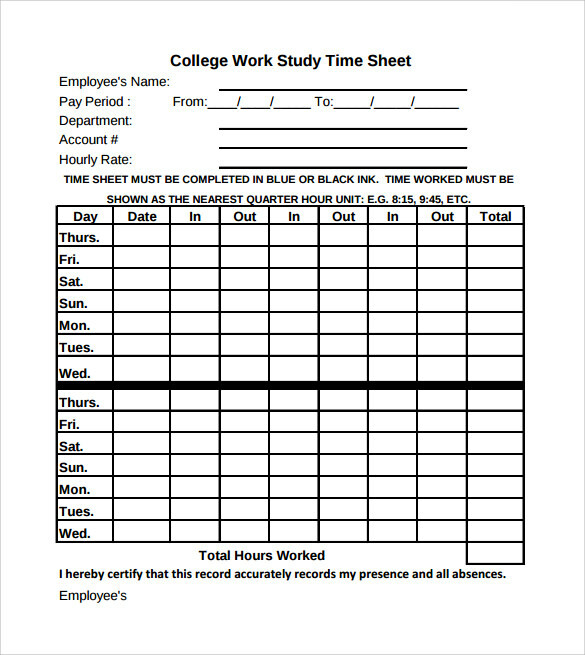 Thus students as well as employers can use these templates to basically count the hours. These templates do serve them all utility-wise. Also the user can download these effective templates and print them for use as it is. These templates help them save both time and energy. Thus these sample work timesheet calculator templates are a great benefit. 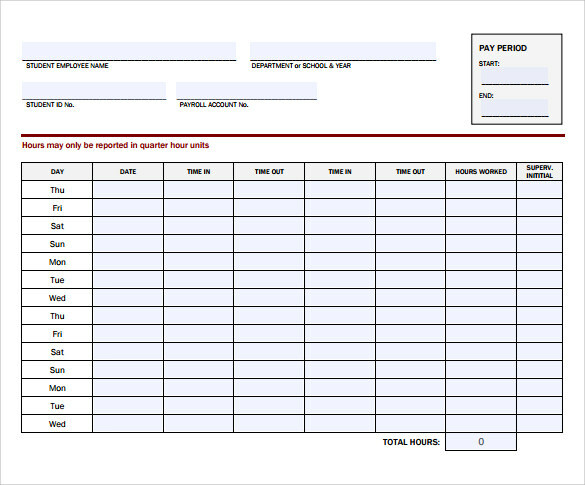 Work timesheet calculator documents help the users in keeping himself/herself organised and time-bound. In workplaces, these templates help one in maintaining discipline. Users download these templates for improving work performance and multiplying the productivity at their workplace. These templates are freely accessible with no hidden costs in downloading them.You can also see Sample Timesheet Calculators.